Usually we are habits to see treehouses on a tree, but I’m wondering: could a treehouse be inside of a tree? In Vancuver (Canada) sometimes humans found habitat in the red-cedar stumps, using them as shelters. 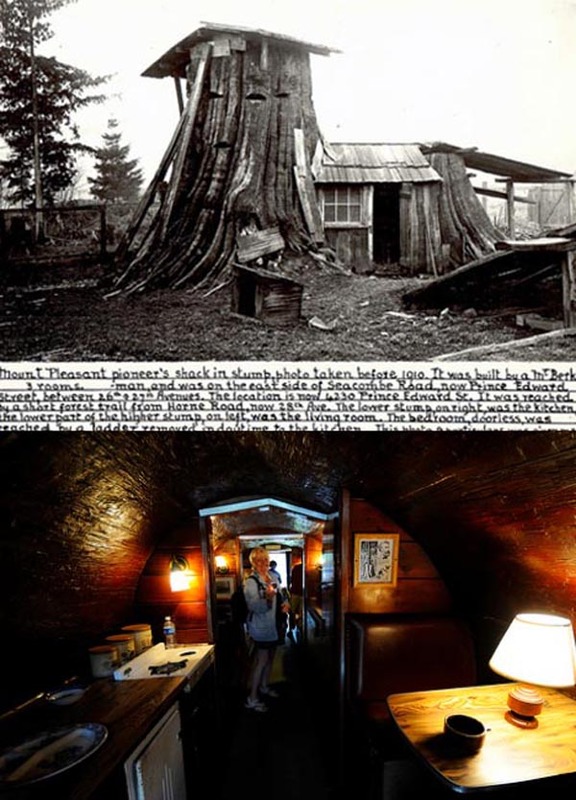 Pioneers built roofs over their hollow centers and used them as houses to live in. This Treehouse-stump have been found where now there’s the Queen Elizabeth Park.